We’ve not been to the allotment since Christmas. So bad I know!! But things have been really busy with the business and our house sale so we’ve just not at the time to hang out down there as much as Grizzle would like. 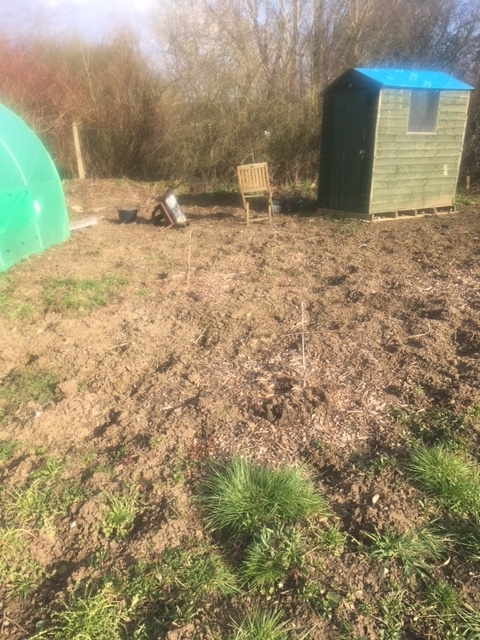 I thought it was time to pay our plot a visit yesterday which might have had something to do with the glorious spring sunshine and how warm it felt late afternoon 😉 Both Grizzle and I are not fond of the rain and prefer to hunker down at home in winter, but when the sun shines that is our time to shine: we love the sun!! 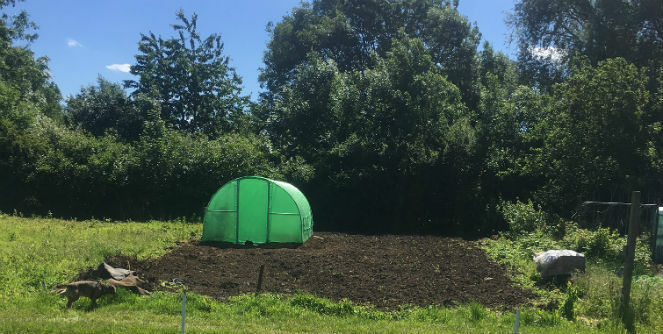 And working down the allotment is our favourite pastime, something which is calming for me and mentally stimulating for him so naturally we had to see what had been going on yesterday when we finally got a slimmer of the summer to come. I was half expecting the entire plot to be overgrown with weeds as we’ve had a few sunny days before now, and although there has been frost recently I didn’t think it was enough to keep things under control; so you can imagine my surprise to find the plot in a fabulous state. I’m half thinking that our lovely allotment neighbours have been looking in on the space in our absence, they are great like that and always looking out for me. 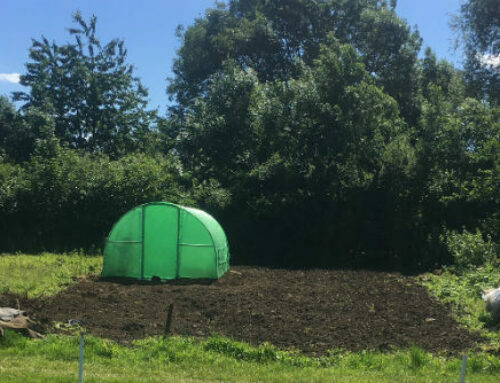 As you will see, the polytunnel is still standing (result! 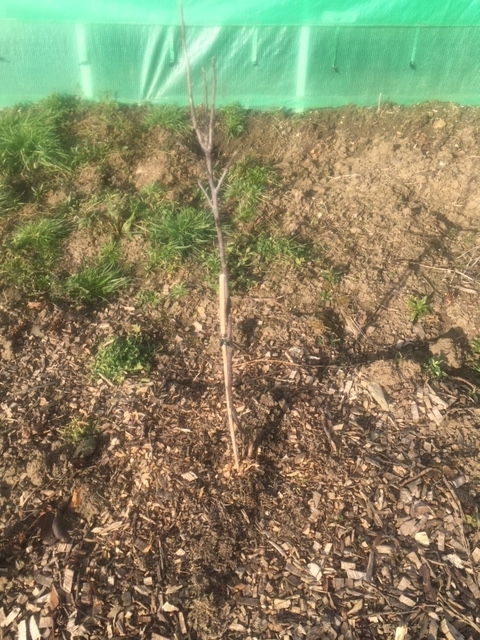 we made it through our first winter), the little fruit trees we planted last summer are alive, weeds are under control and my ground covering seems to be in place. I’ve ordered some more pegs so that I can finish off laying the ground cover on the back of the plot to keep weeds under control as this year I won’t have time to actually grow anything or weed. 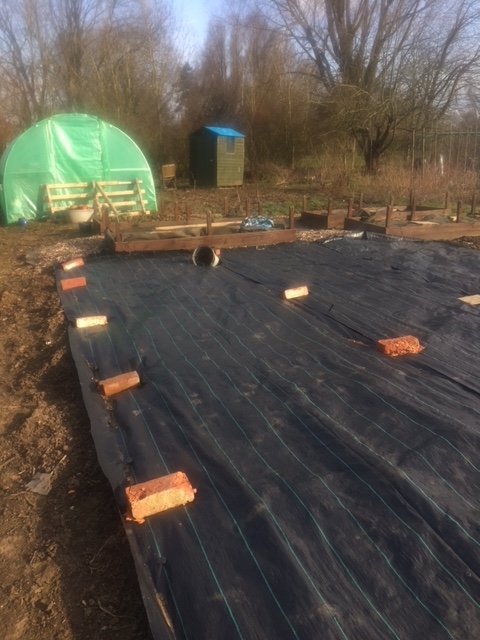 The plan is to simply cover the entire plot with this weed control sheeting so that in the future I have a plot to come back to which isn’t overgrown with brambles and weeds. Perhaps I may grow some tomatoes, herbs and chilies in the polytunnel this year, but in tubs and containers – it all depends on how Grizzle’s dad is doing and how much time I’ll have to get down to the plot. 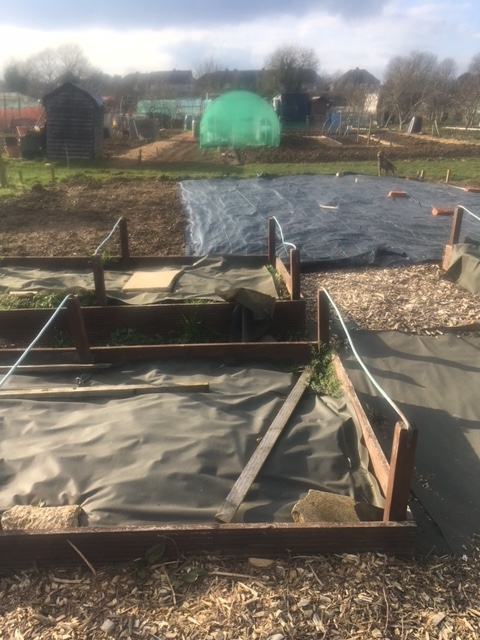 The allotment is meant to be a calming space for me so I won’t allow myself to feel stressed by maintaining it, thus covering it all up until such a time as I can focus on it fully. In the meantime, we’ll continue to visit our space when the weather is lovely as if nothing else it’s a beautiful spot to sit and watch the sun go down late afternoons and early evenings. No one is there that late in the day but the birds who are chirping loudly and settling down for the night. 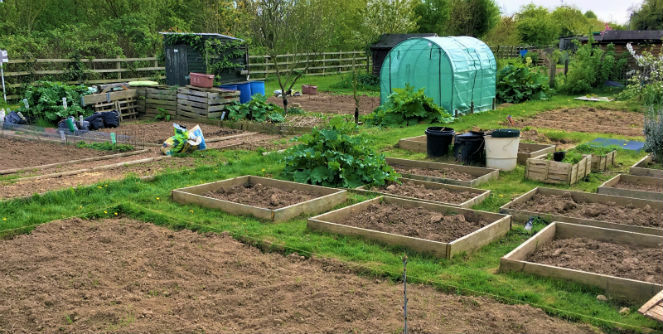 Allotments are hives of activity for animals and wild with beautiful and interesting smells – just perfect for a dog and my happy place. I’ve included a couple pictures taken yesterday showing the allotment in its current state, and Grizzle’s adorable face full of joy at having been to his favourite ‘place of work’. I hope you enjoyed reading, till next time .. Wedding Season: How to include your pet! Jog My Dog offers a complete pet care solution in Milton Keynes, Bletchley, Bow Brickhill, Aspley Guise, Woburn Sands and Newton Leys. 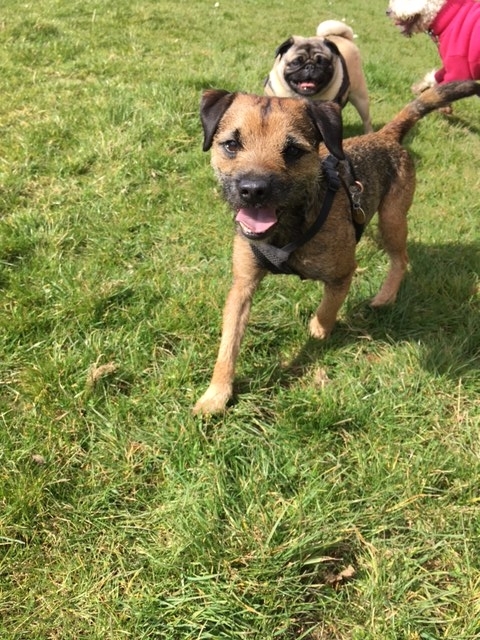 Our professional and experienced pet care specialists provide dog walking, dog running, pet sitting and day care.